The father of a student slain in the Florida high school massacre has resigned from the commission investigating the deaths. 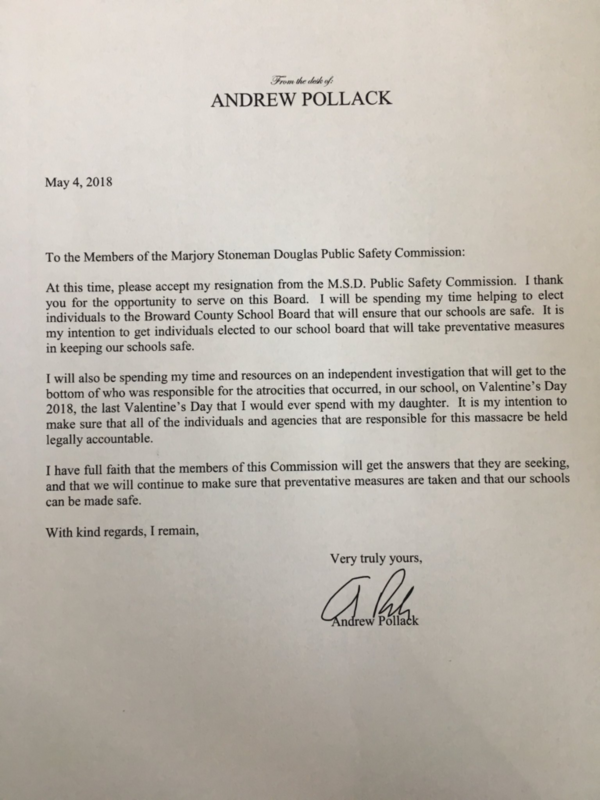 Andrew Pollack said in a letter read Thursday at the Marjory Stoneman Douglas High School Public Safety Commission that he wants to concentrate on getting new members elected to the Broward County school board. His daughter Meadow was one of 17 students and staff killed. The commission Thursday will discuss diversion programs for students who commit crimes deemed minor. 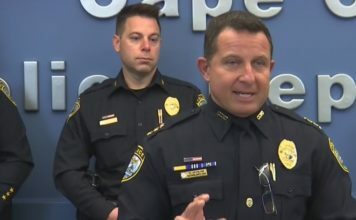 Suspect Nikolas Cruz was referred to a program while in middle school but never completed it. 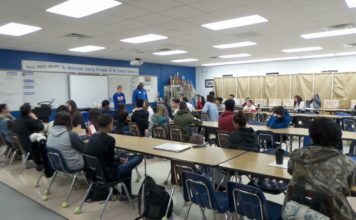 The members will also discuss Thursday school design and active shooter protocol. The commission’s 15 members will report their findings to Gov. 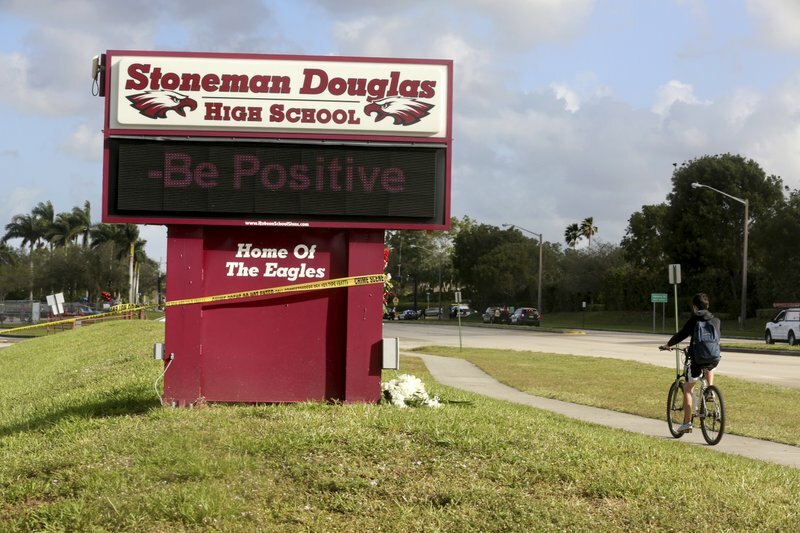 Rick Scott and make recommendations for preventing future shootings.